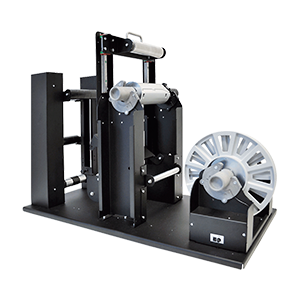 The rewinder and unwinder for Swiftcolor SCL-4000D printers are used to manage rolls of media up to 127mm (5") having an outside diameter up to 250mm (9.84"). 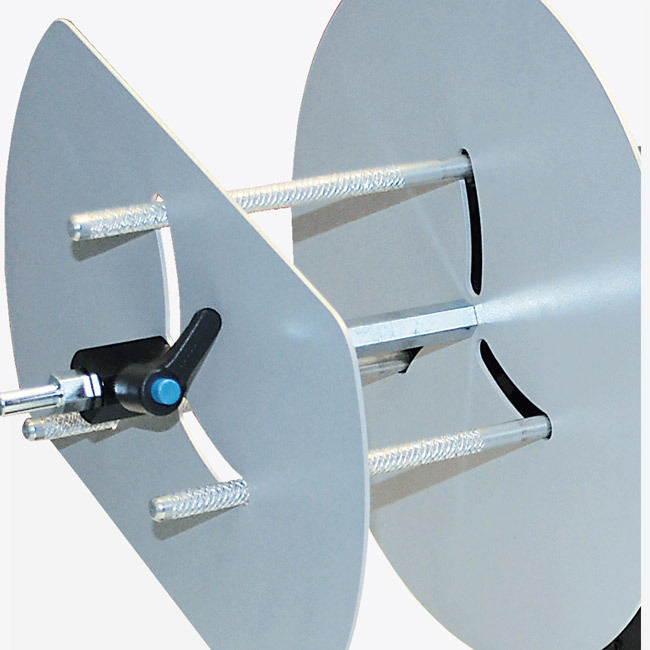 The users can select among the adjustable core holder 40mm - 118mm (1.57" - 4.64") and the 76mm (3") fixed. 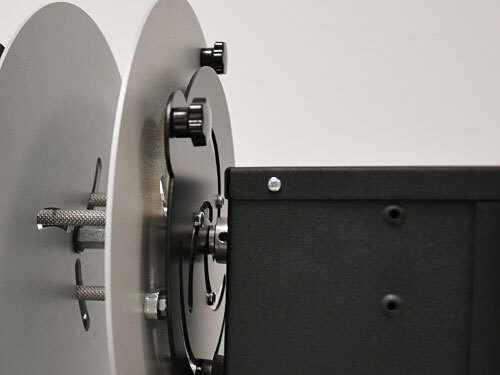 To guarantee an aligned media path in the system, it is available the junction plate to connect the rewinder and unwinder together. 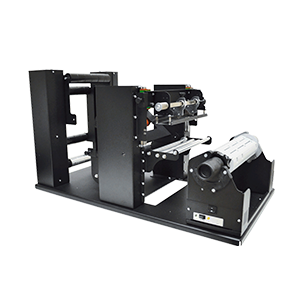 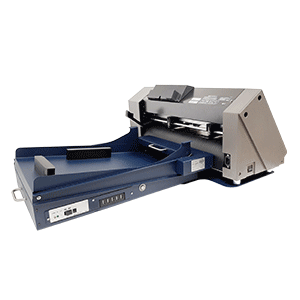 It offers also a customized sliding support where lean and fix the Kanematsu printer. 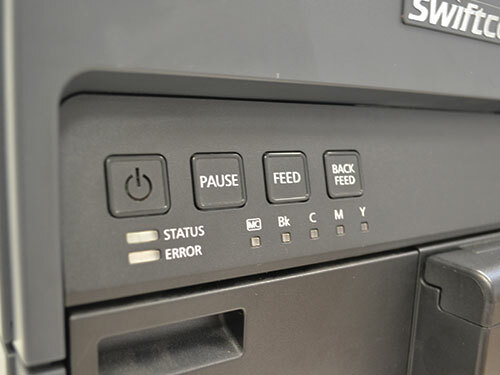 The rewinder and unwinder for Swiftcolor SCL-4000D printers have two types of speed adjustment: it is possible to set the main speed through a knob and the tension arm automatically adjusts the speed from zero up to the selected speed. 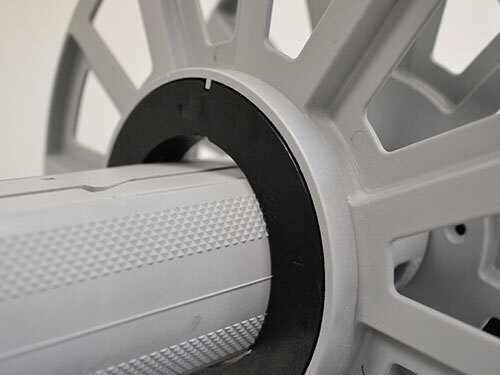 When the roll runs out, the devices stop beeping. 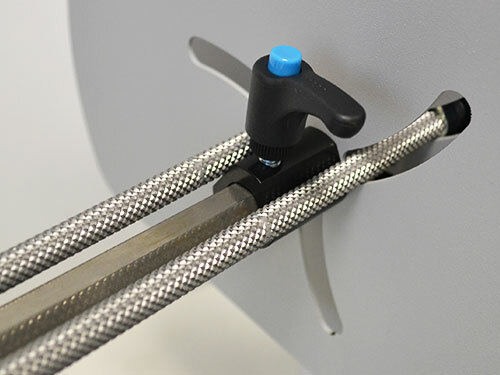 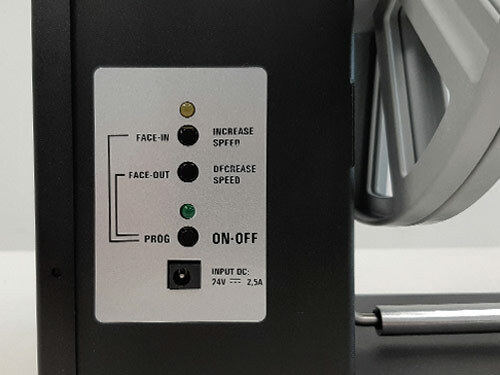 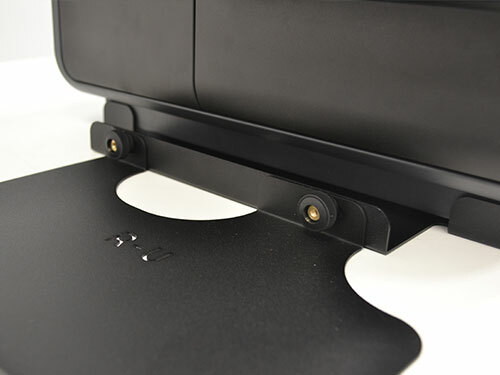 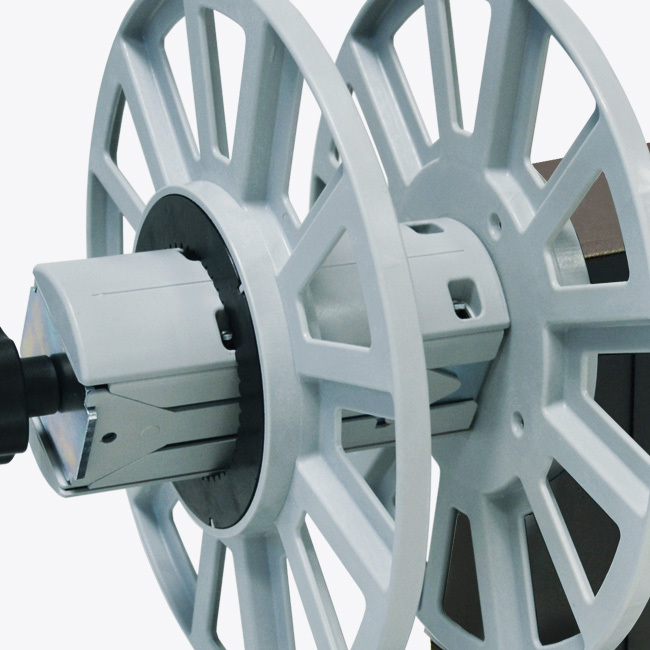 To guarantee the media path aligned in the system, it is available the junction plate to connect the rewinder and unwinder together and where lean the SwiftColor printer.